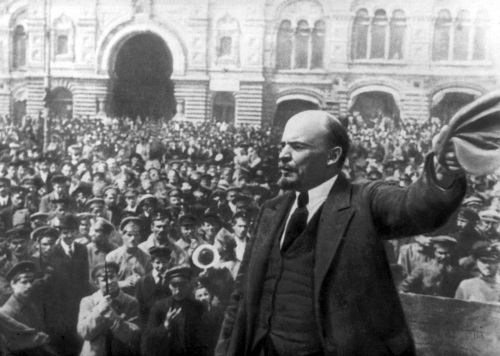 Under the leadership of the Russian Communist Party (Bolshevik), Russian worker class and working people made the October Revolution 1917 an outstanding triumph, marking a turning point in the history of human being. Nowadays, though hostile forces still try to distort the Revolution, its success is still shining. 1. Sabotages of imperialism and hostile forces with the aim to change the history and devalue the revolution. Right after the success of the Revolution, the Russian bourgeois, who had just been defeated, insisted 14 imperialist countries to form a coalition to destroy the newly - established Soviet government and tried to distort and blame V.I. Lenin and Russian communists. They held a point that the revolution was in fact a “coup” and the establishment of the Soviet worker farmer state was a derailment. Especially, since the recession of the USSR and socialist countries in East Europe, hostile forces have further strengthened their sabotages against socialism. They have utilized all means to criticize, slander and devalue the humanitarian and human ideals of the revolution and Marxism – Leninism and its theoretical and ideological background. They even declared the end of socialism, and conducted propaganda about the eternity of capitalism and persuaded the remaining socialist countries in the world, including Vietnam, to follow the capitalist orbit. 2. The Russian October Revolution in 2017 opened a new chapter in the Russian history and in the development course of human being – the transition period from capitalism to socialism at the global scale. The victory opened up the path to socialism for the entire human kind and brought about huge potentials for the proletariat as well as the working class in their struggle for self-liberation from oppression and exploitation of the colonialist and imperialist regimes. The reality has shown that after the revolution, the Communist Party of Soviet Union headed by Lenin led the Russian proletariat and working people to renovate the former society and built new one. They made great achievements in the fields of economy, politics, science – technique, culture – society, defense, security, etc, driving the USSR from a middle capitalist country to a super power in the world. Under the influence of the Revolution and the socialist regime in the USSR, various other countries in the world have successfully carried out their national liberation revolution and gained independence. A number of them chose the path to socialism. During the period from the end of the October Revolution to the late of 1980s, the socialist realism with its aim of “national independence and social progress” has become an universal value of time, which was followed by many countries in the world and rapidly grew to a strong system in the world. It led to the collapse of the colonialist system established by the colonialism and imperialism for many centuries. The eternity of capitalism was no longer existed. It was denied in principle. All attempts to slander, remove Marxism – Leninism and socialism, denying the great value of the revolution were pointless. 3. Though the world has seen so many changes, the great values of the Russian Revolution are unchanged. For the past nearly a century since the success of the revolution, there have been so many ups and downs in the history of human being. The losses caused by the enemy to communist and international worker movement during the past decades are numerous. However, the objective development trend of history once pointed out by the Revolution and the success of socialism are irreversible. Nowadays, globalization and international integration are being accelerated robustly; the world situation is complicated and unpredictable. Nevertheless, peace, national independence, democracy, cooperation, development, and social progress are still the mainstream. The great ideal of the October Revolution still counts and gains significant achievements in many countries which have chosen the path to socialism by different ways. Moreover, in many capitalist countries, left-wing parties gradually dominate. These show that though socialist realism is facing difficulties and hostile forces always manage to deny and devalue the significant values and influence of the Russian October Revolution, its ideals are still the goals that many countries in the world are striving for. 4. 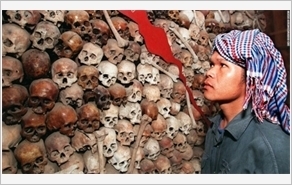 The Russian October Revolution – the guideline for Vietnamese revolution. When reading the “Preliminary Draft of Theses on the National and Colonial Questions” written by Lenin and approved in the Second Congress of the Comintern in 1920, Nguyen Ai Quoc was so glad that he suddenly burst into tears. Sitting alone in the room, he spoke out loud as if he was speaking to his fellow people: “Dear my oppressed fellow men! This is what we need. This is our way of liberation!”. Thereafter, he affirmed: “Vietnamese revolution must follow Lenin’s path – the way of the Russian October Revolution; the cause of national salvation and liberation had no other way but proletariat revolution”. Over the past 86 years, our Party and President Ho Chi Minh have always been loyal to the great ideal of Marxism – Leninism and steadfast in the path of the Russian October Revolution; led our people successfully carry out the August Revolution in 1945; make the landslide Dien Bien Phu victory in 1954; and liberate the South, unify the country in 1975. In the cause of national construction and defense, our Party has drawn valuable lessons from the recession of the socialist realism model in the USSR and socialist countries in East Europe; timely set out sound policies, resolutely surmounted shortcomings and mistakes, and started the renewal cause since 1986. Accordingly renewal does not mean changing socialist goals but to realize them by right concepts, appropriate methods, measures, and steps. Over 30 years of renewal, the great ideals of the Russian October Revolution have been realized by our Party, people, and armed forces with significant and historic achievements in the cause of national construction and defense. These achievements prove the fact that our Party’s lines are right and relevant to the time; that the Party’s will and people’s aspiration are always intertwined in the implementation of the goal of “rich people, strong, democratic, equal and civilized country”. Today, the world situation is still complicated and unpredictable. Hostile forces have been utilizing their economic, scientific – technological advantages and new tricks and plots to conduct severe sabotage against Marxism – Leninism, slandering and denying the value and significance of the Russian October Revolution. Therefore, nations struggling for peace, national independence, democracy, social development and progress following the October Revolution will still face difficulties and challenges. However, “according to the evolution of the history, human being will certainly move forward to socialism”, historical values of the Russian October Revolution are still shining. Senior Colonel Nguyen Duc Thang, MA.